today by a mate . Still got a couple of litres of very nice port in it . Bout 10 or 15 lt I reckon . French , only been filled once with port . Few gens of CFW should do it nicely , what say ye ? Last edited by prawnz on Sun Mar 18, 2018 9:14 pm, edited 1 time in total. Gotta get lucky occasionally right? prawnz wrote: today by a mate . Still got a couple of litres of very nice port in it . 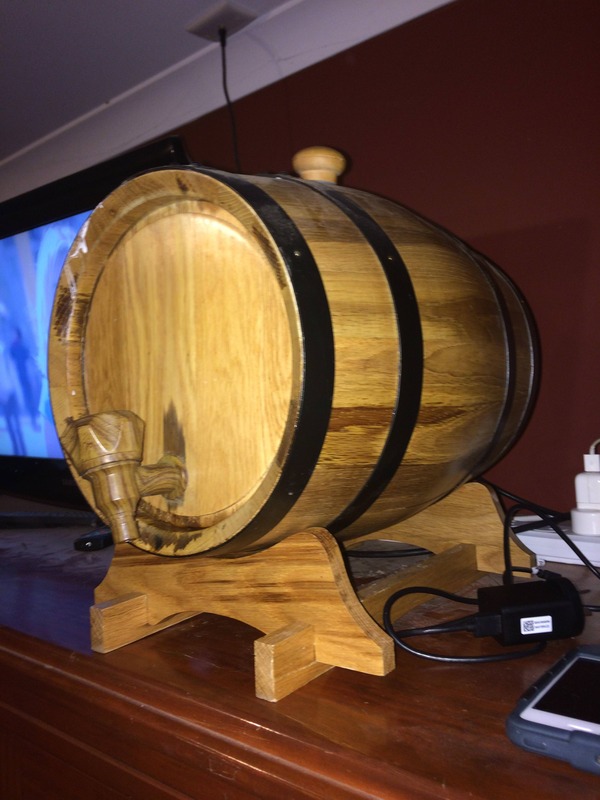 I got myself a barrel a while back, it too had port in it for years. Put some bwko in it for a couple weeks and its really starting to taste good after a few months aging. Just keep good tabs on it as you dont want the port to be too overpowering. I found after a couple weeks it had pleanty of the porty flavour.. for my liking anyway. Having said that it is mellowing now as all the flavour are blending together. Next time i should be able to leave my bwko in the barrel longer. Yeh , I'm thinking I'll empty the port out that is in there and fill it up with water until I've got some spriit to go in . Careful keeping water in for long periods was told 24hrs max 48 then change it when I bought my barrel. 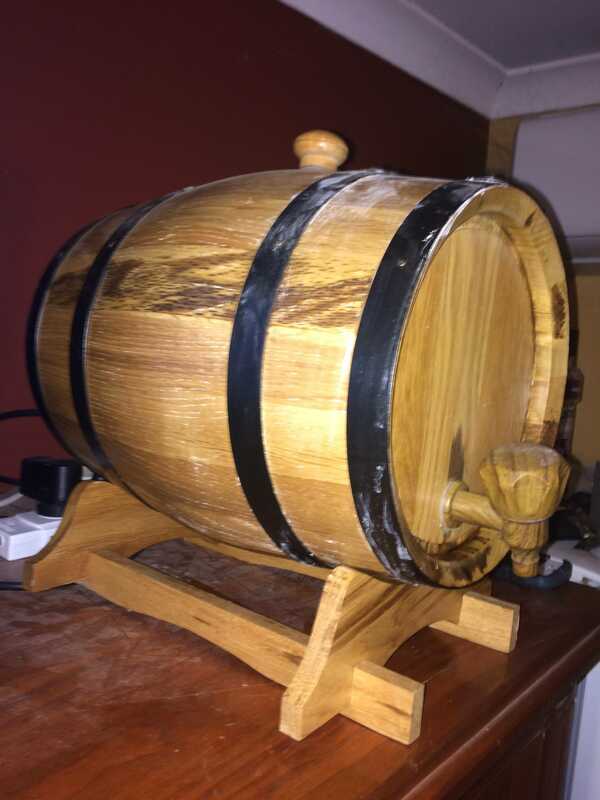 Be better off keeping port in it I reakon..
bluc wrote: Careful keeping water in for long periods was told 24hrs max 48 then change it when I bought my barrel. Be better off keeping port in it I reakon.. I can do that , maybe give it an occasional turn to keep it damp all round eh ?